The waters around Turks and Caicos are home to an impressive variety of marine life, attracting tourists, snorkelers and divers. A shadow has been cast, though, with a business pushing to exploit dolphins. Dolphin Cove ltd has operated pseudo-educational “swim with dolphins” experiences in Jamaica for years, at no benefit to the unfortunate dolphins. While the “lagoons” might appear marginally better than the brutality of circus shows, the dolphins are still captives, living unnatural lives and usually torn from the wild. Now the company wants to expand into Turks and Caicos. 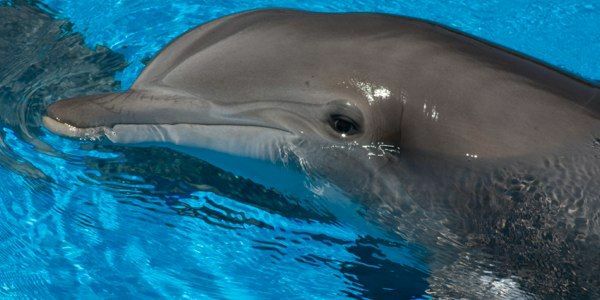 The exploitation of dolphins is bad news for the dolphins and for people who visit the dolphinarium, who learn nothing about animals in their natural environment. It isn’t good for the Turks and Caicos tourist industry either, because of the growing awareness of the suffering captivity causes dolphins. Tell the governor to refuse planning permission for such an outdated and counter-productive business. We the undersigned ask that you refuse planning permission for the new dolphiarium proposed by Dolphin Cove. The animal welfare problems associated with the exploitation of captive dolphins are well known. Because many of these dolphins are taken from the wild, it is also a conservation issue. All this means that allowing old-fashioned entertainment like this to begin in Turks and Caicos would do nothing to improve its image or bolster the tourist industry in the long term. People, especially divers, snorkelers and those who appreciate marine wildlife, are become ever more aware of the damage caused by the captive dolphin trade. We ask that you do not accept Dolphin’s Cove’s planning application, or any others like this. Dolphinaria would do nothing to help marine wildlife or the reputation of Turks and Caiscos.